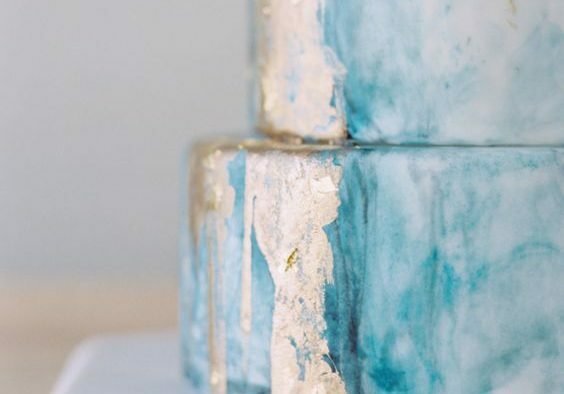 Pictures of wedding cakes are such a great way to start the day, but what if we told you that this week, Team Wedding has decided to dedicated a ton of blog posts to the getting inspired by wedding cake images from across the internet. 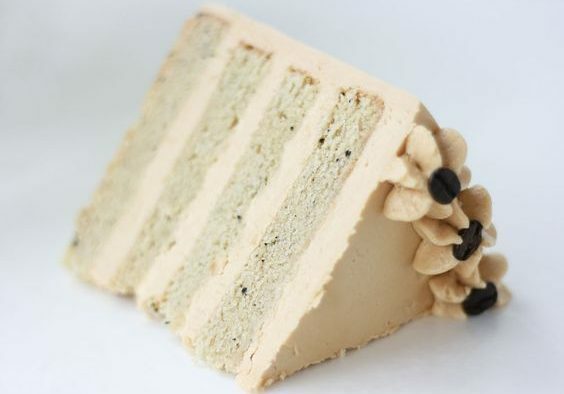 That’s right, we’re calling it Wedding Cake Week, a whole week basically dedicated to mouth-watering wedding cakes with ingredients like vanilla buttercream, raspberry jam, chocolate ganache and anything else that you can think of. Sounds tasty, right? 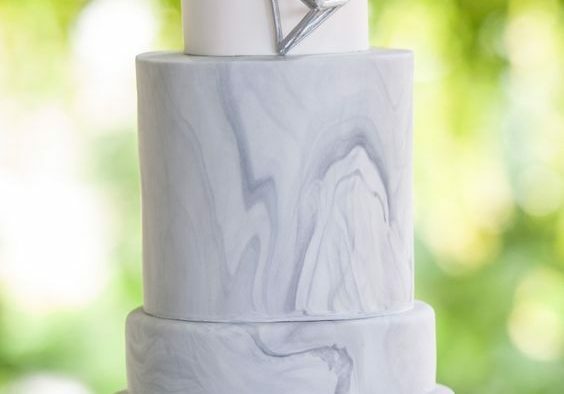 Wedding cakes inspire, but it is hard to get a sense of what you want unless you spend days perusing pics of wedding cakes and styles, which is why we thought we’d help by assembling the wedding cakes that inspired us. 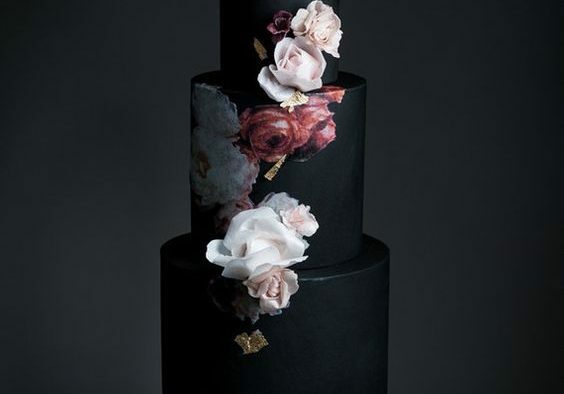 As bakers continue to create cakes with innovative shapes, bold fillings, and intricate detail; the infinite amount of opportunity and creativity is obvious from wedding cake pictures we’ve assembled in this post and the rest coming throughout the week. Before you roll your eyes at us, please remember you can never have enough cake. 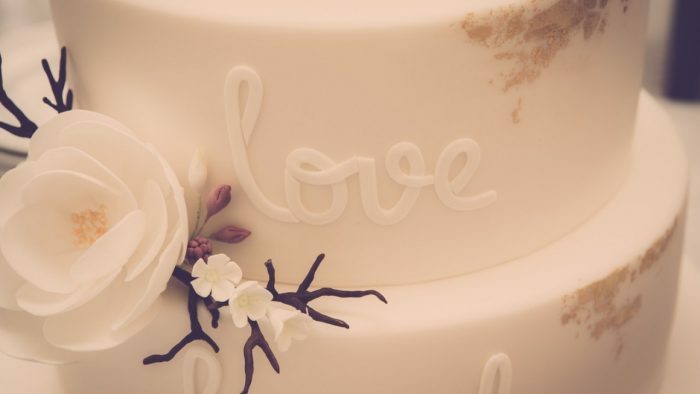 Check out 11 wedding cake images below that start the week right. 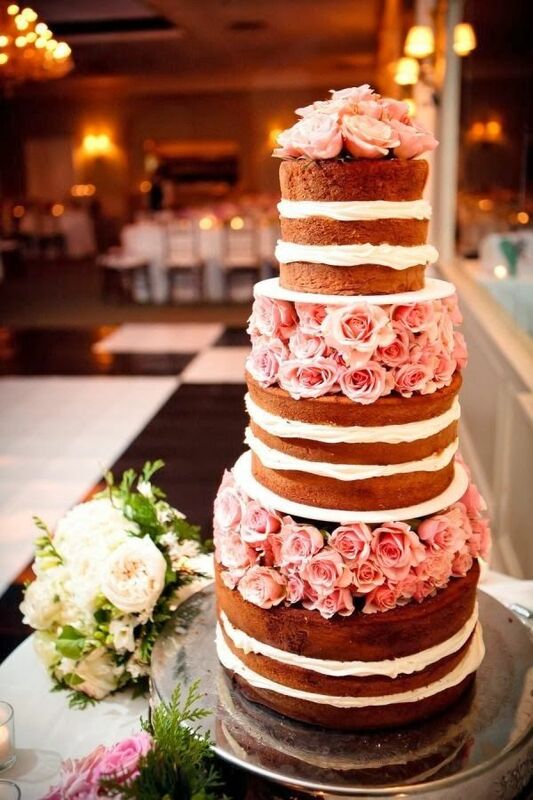 This floral wedding cake is gorgeous. 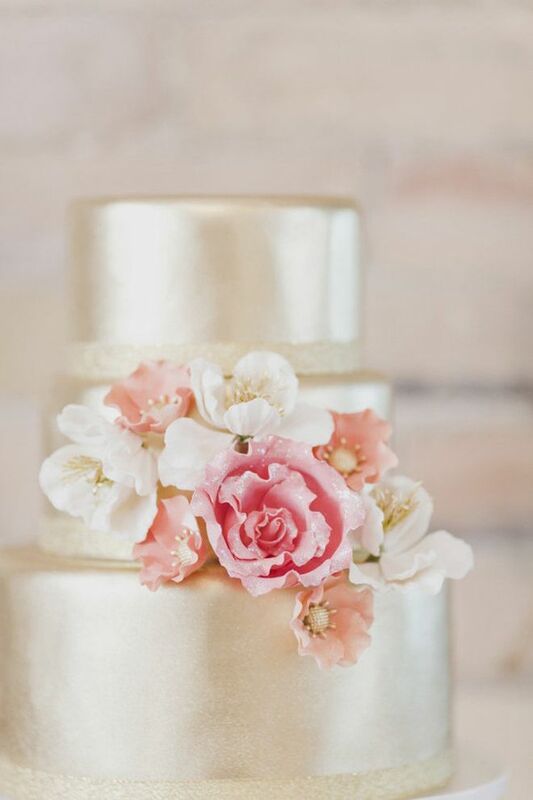 The gold cake and peach, pink and white flowers just looking amazing. Who says white is plain and boring? 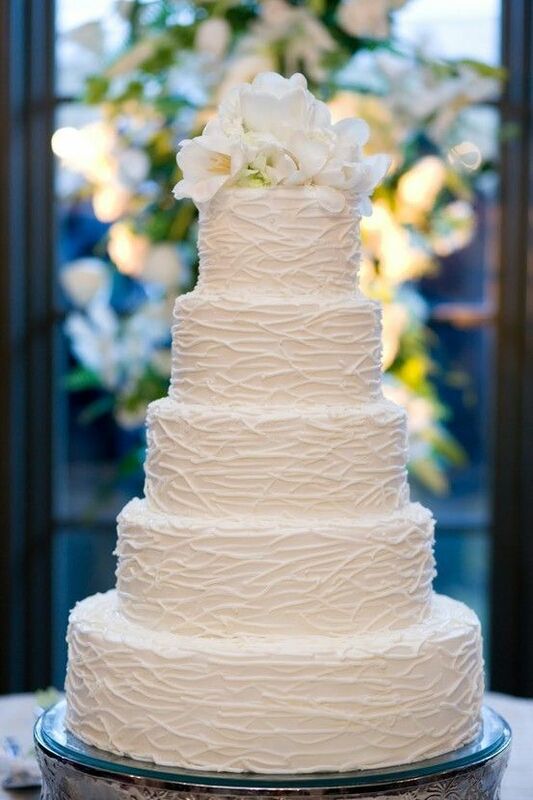 We love the detail on this cake and with the right table and linen, a beautiful focal point. Timeless and elegant. White cakes can also be made to pop with bold, strong colors as accents. 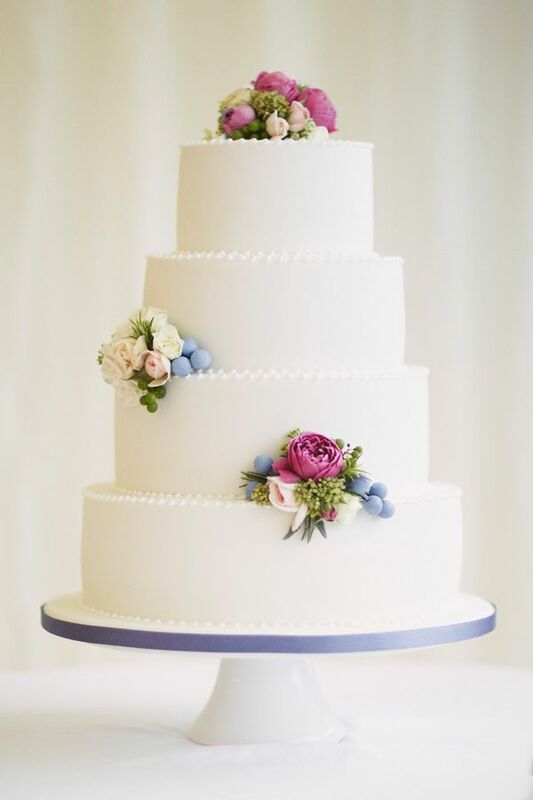 This white cake has great dark blue and the bold flowers capture your eye. 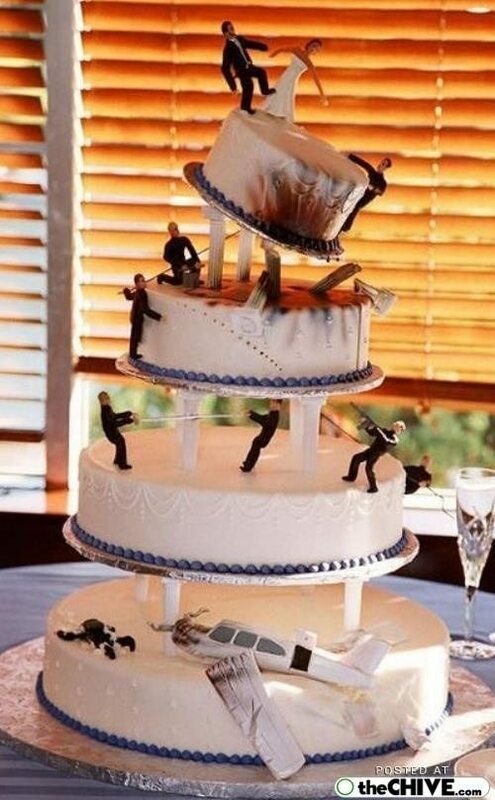 Who says that traditional wedding cakes are the only way to go? 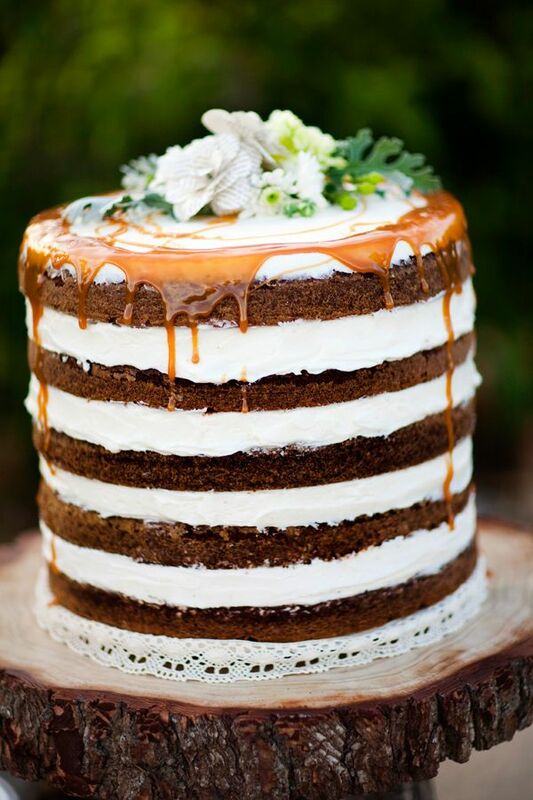 This gooey and golden naked cake oozes love. So tasty. 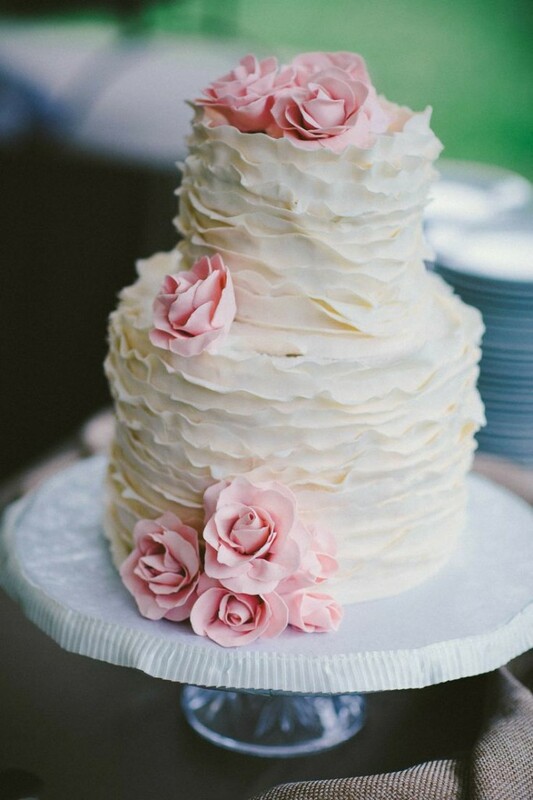 Who doesn’t love ruffles on a wedding cake? 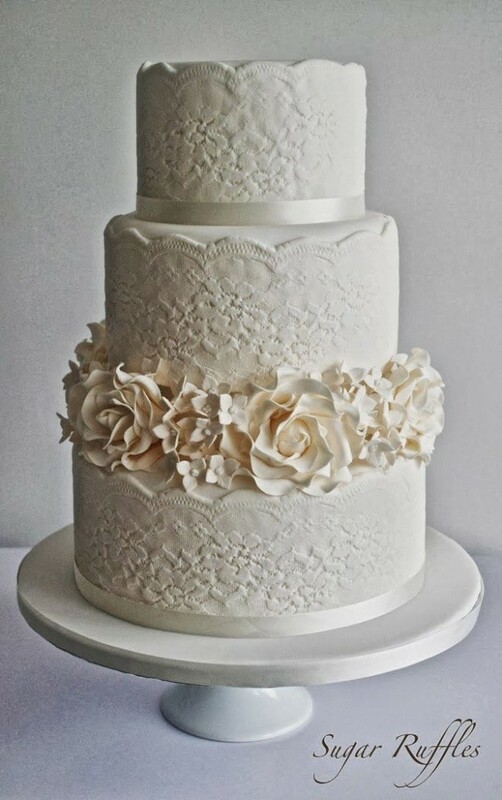 This cake is stunning and is perfect for a vintage wedding. This cake had to be included on the list because it is epic. One of our favorite, fun cakes ever. 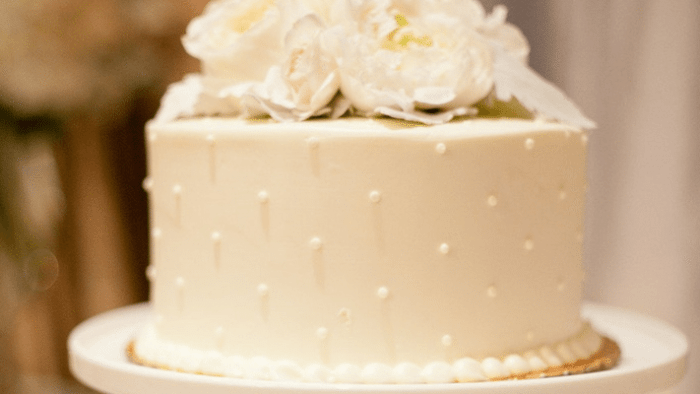 Now trending: naked wedding cakes. 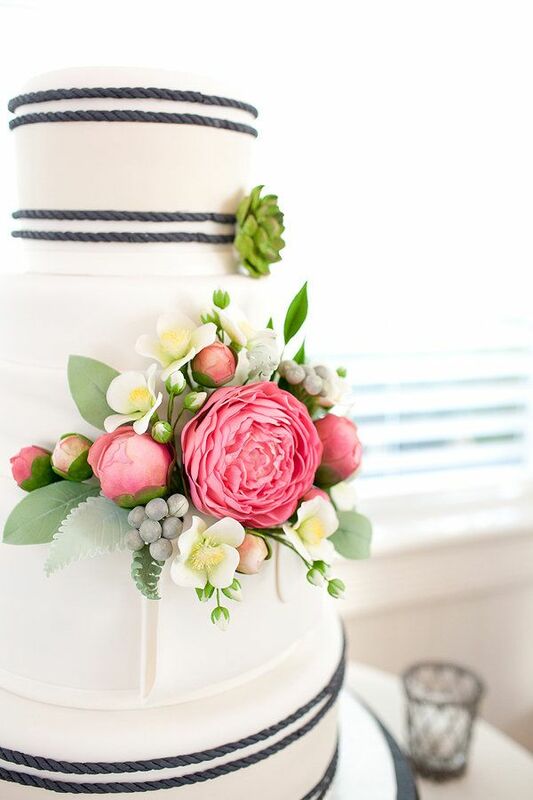 This wedding cake with pink and white florals is simple, yet so elegant. Stunning. More ruffles. 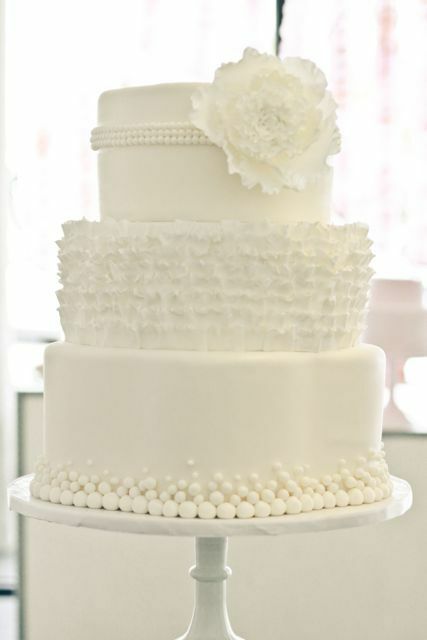 We told you we loved wedding cakes and ruffles. 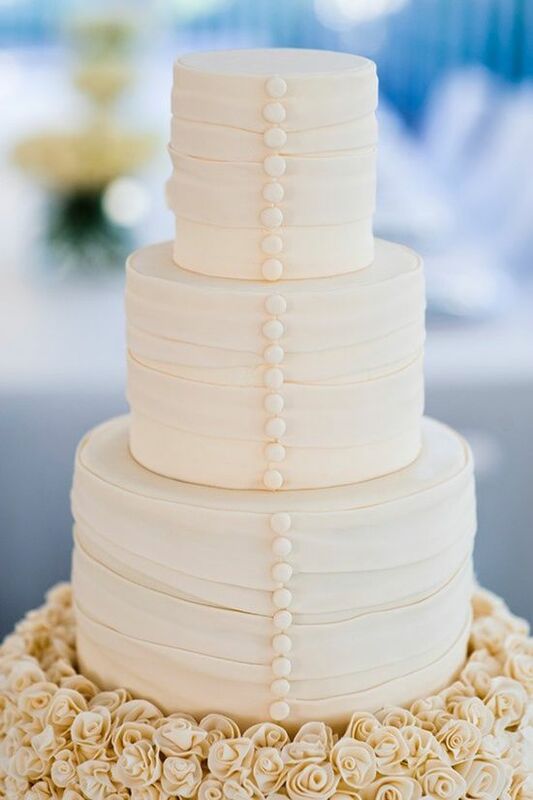 This wedding cake picture captured our attention with its vintage, victorian-like look.